We are a leading Manufacturer of ro water purification plant, water purification plant, dialysis water treatment plants and pharma grade water treatment plants from Delhi, India. Owing to our experience and knowledge in this domain, we are engaged in offering a supreme quality of Complete Range of RO Water Purification Plant. This plant is manufactured using high grade raw-material and progressive technology in compliance with the set industry standards. Offered plant is highly acclaimed among clients for its fine finish, optimum quality, corrosion-resistance and durability. The offered plant is checked by our experts against various parameters of quality. 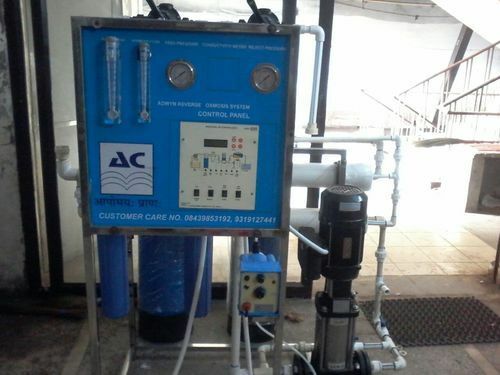 We provide entire range of water purification systems such as Sand/Media Filtration, Softeners, Reverse Osmosis Systems,Utra filtration, Nanofiltration for patable fharma dialysis grade water. Nanofiltration for potable pharma dialysis grade water. We have provided 10m3 and above RO plants for embassies. With the help of our team of adroit professionals, we are indulged in offering a wide assortment of Water Purification Plant. Our offered plant is designed by our experts using high grade raw material, keeping in mind prevailing guidelines of industry norms. Offered plant is highly demanded in food processing industries. It is used in purifies brackish/high TDS water for drinking and industrial purposes. Considering variegated demands of our respected clients, we offer this plant in various sizes and other related specifications at market leading rates. With our vast experience in this domain, we have enabled us to serve our clients with a broad array of Pharma grade & Dialysis Water Treatment Plants that is used to treat water. The offered plant is manufactured using optimum quality raw-material and advanced technology. As per the requirement of our clients, we provide the entire range in various sizes and shapes. Offered at market leading price, this plant meets the specific requirements of our valued clients. 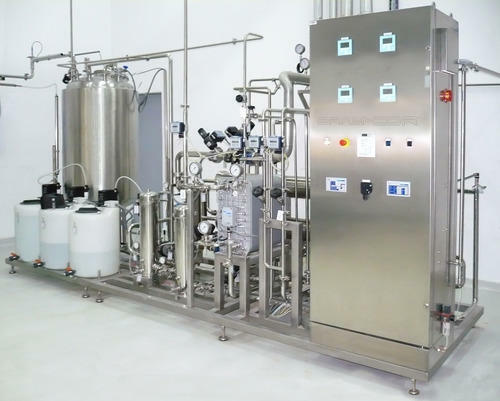 DM plants are sometimes provided for pharma grade water which involves disposol of acidic effluent.We have perfected RO technology to provide pharma Grade water without such effuent hassle This holds good for dialysis water also. 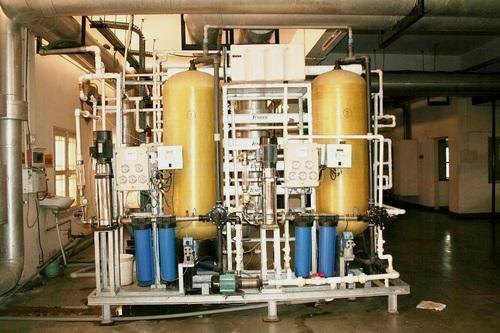 Our firm specializes in offering an excellent collection of Pharma grade Water Treatment Plants. This plant is manufactured using topmost grade raw-material and sophisticated technology in conformity with the certified industry norms. In order to deliver the defect free range at clients' end, this plant is checked against the various parameters of quality before supply set by industry. We offer this plant at most affordable rate. DM plants are sometimes provided for pharma grade water which involves disposol of acidiceffluent. We have perfected RO technology to provide pharma Grade water without such effuent hassle This holds goodfor dialysis water also. DM plants are sometimes provided for pharma grade water which involves disposal of acidic effluent. We have perfected RO technology to provide pharma Grade water without such effluent hassle This holds good for dialysis water also. Looking for “Complete Range of RO Water Purification Plant”?